Since 2006 we have been providing expert commercial insurance advice to our busines clients throughout the West Midlands and Staffordshire from our offices in Tamworth. We can provide bespoke insurance for any retail business looking for shop insurance or retailer insurance. We know that every retailer and shop owner is different and has different needs. A coffee shop has different requirements to a hairdressers or a gunsmiths which is why we believe the ‘one policy fits all’ approach is so wrong and why we try to tailor an individual policy for shop insurance and retailer insurance designed for your specific requirements. A shop insurance policy usually has certain basic sections of cover which can be added to as necessary. For example; most retailers need to cover their assets against loss or damage; they’ll need to cover their earnings if they can’t trade – and most importantly of all, they’ll need to cover their liabilities in case someone gets hurt or something gets damaged. Property Insurance – can cover the buildings (if they are yours) and/or the shop front and/or tenants improvements (whatever has been spent inside the shop on the fabric of the building) plus the stock and the fixtures and fittings – usually against risks such as fire, storm, flood, theft, vandalism, impact plus less common risks such as earthquake, aircraft or lightning. Business Interruption Insurance (also known as Loss of Profits) – if something happens causing damage to your property, you can also cover yourself against the profits you lost because you couldn’t trade. This can also cover you losing profits if the electricity cable gets dug up or if the tourist attraction next to you goes up in flames or someone gets murdered inside your doorway overnight! Money Insurance – in essence, theft of cash. Within reason. If you leave £100,000 in cash in the boot of your car don’t expect any sympathy from your insurance company. This can also cover assault, so it pays a (small) benefit if someone got beaten up during a robbery. Glass Insurance – pretty obvious. Covers the cost of boarding up and replacing broken windows. It can also cover signage and sanitary fittings against damage. You can also add to the basic shop insurance and retailer insurance offering by including cover for Goods in Transit, Terrorism, Theft by Employees (also known as fraud), Frozen Food deterioration, Legal Expenses, Cyber Liability Insurance and even Loss of Liquor Licence! Most policies have a 24/7/365 claims reporting line as often sh*t happens out of office hours! Retailers insurance is NOT compulsory but if something bad is going to happen, who would you rather pay for it? You or an insurance company? Either way – the bad thing will still happen irrespective of the existence of an insurance policy! It is increasing common for all types of businesses to now purchase insurance and we can cover over 100 separate trades and professions, and just to prove it here is (nearly complete) A to Z of professions we can help. Forgive us if we’ve missed any – but if we have, please feel free to call us and we will endeavour to help you! What makes us different from most brokers offering shop insurance and retailer insurance is that in most cases we don’t take a commission from the insurance companies for placing the business with them. At Prizm Solutions we prefer to work on a fee basis so that our earnings are transparent which we feel is more ethical. If you have a shop or are a retailer please call us for all your shop insurance and retailer insurance needs and enquiries. 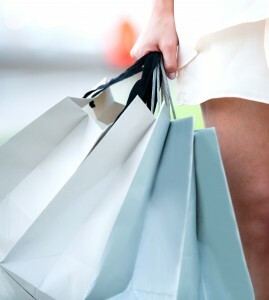 You can always be assured of our expert advice and knowledge of the retail business sector. You can request a quotation or arrange a call back. So if you’re looking for Shop and Retailers Insurance look no further. Would you like a quote or to find out more?